Polyline presets are created by saving the properties of the current tool to a new preset, which you can reuse for repeated tasks. You can create as many presets as you need. 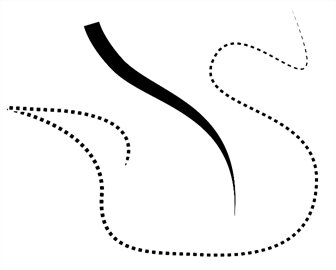 Like pencil lines, polylines support texture. 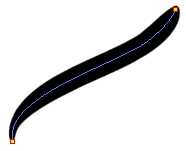 Before drawing, you can select or import a texture and apply it to your lines. 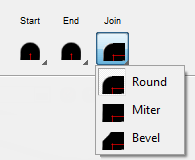 You can also change it afterwards using the Select tool. 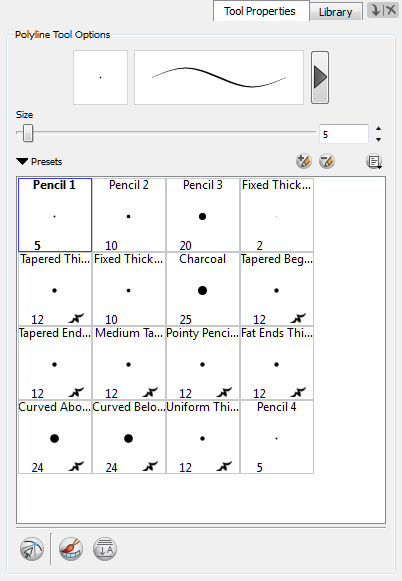 Textures are independent from pencil templates—see Pencil Line Texture. Toon Boom Animate Pro gives you the flexibility to change the style and thickness of your pencil lines even after they are drawn. You can apply preset templates or create your own. Refer to Working with Thickness Stencils, Creating a Pencil Thickness Stencil with the Select Tool and Working with Thickness Stencils.